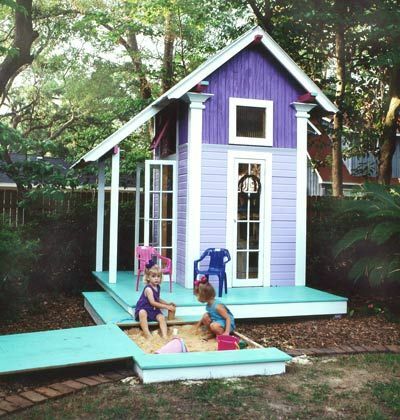 Convert your shed to playhouse in several easy steps. It doesn’t take much to convert your storage shed into a playhouse for the kiddos. With these handy dandy items, your backyard shed will be filled with fun and laughter in no time. First off, you’ll need to figure out a whimsical paint combination. Don’t just pick one color or if you do, pick something bright and playful. 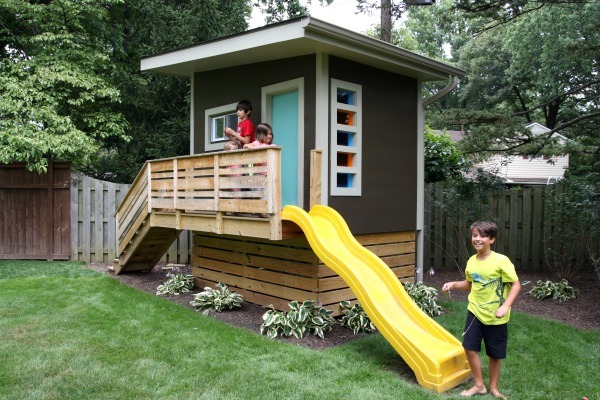 Check out a few of these shed playhouses for inspiration. 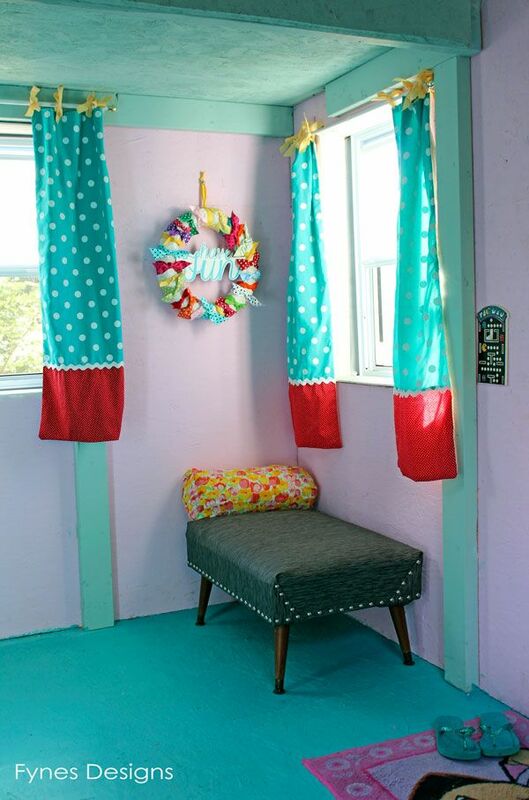 Curtains make a tiny shed playhouse magical. Kids want to feel like they are really at home. It makes imaginative play more real. 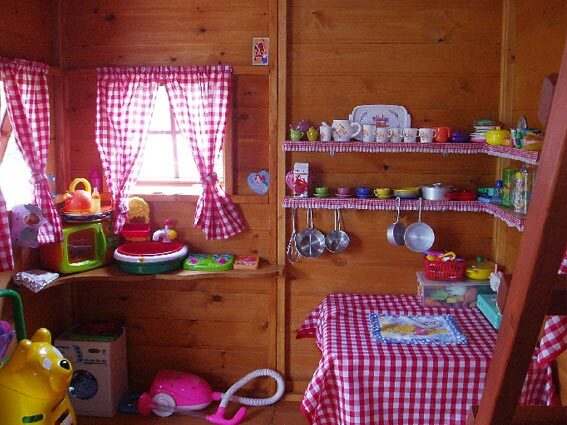 Curtains are a great way to add this mystical quality to your playhouse without breaking your budget. This is your chance to throw caution to the wind and get crazy with interior design! Paint walls crazy colors, mismatch throw rugs and get super playful. Your kids will love it and you’ll have a blast making all the silly fashion faux pas you’ve always wanted to. 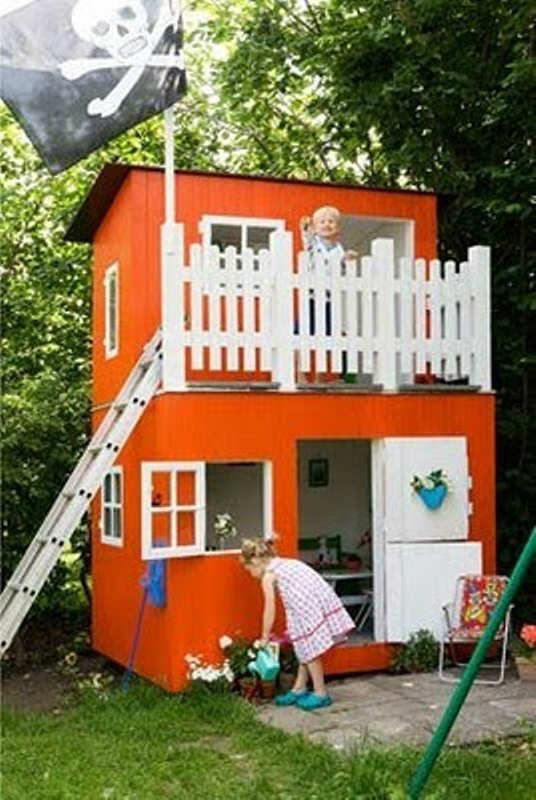 Your kids may not care much for gardens, but a playhouse looks so much cuter with some colorful plants and flowers. 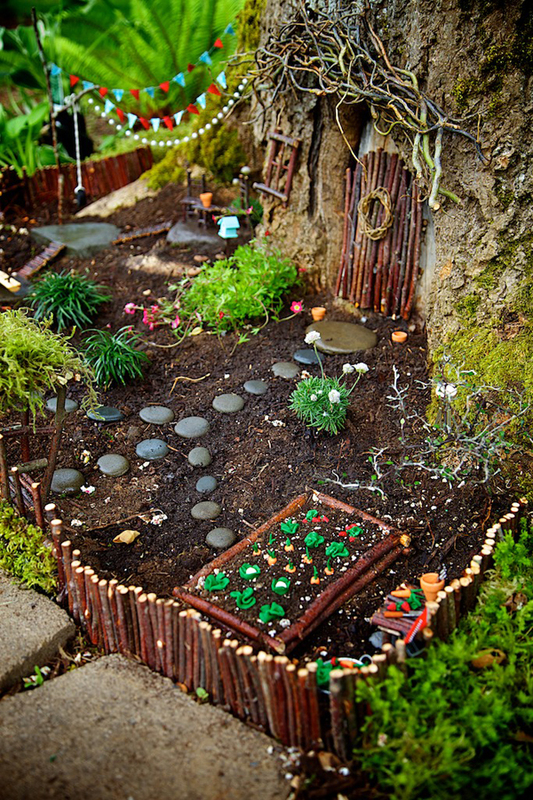 Even better, plant a fairy garden outside and make the magic of play extend outside the borders of playland! Last, but not least, if you’ve got rambunctious kids who need more physical stimulation, be sure to add something outside the playhouse for that added exertion your kids need and want. Here’s a great website for play set accessories. 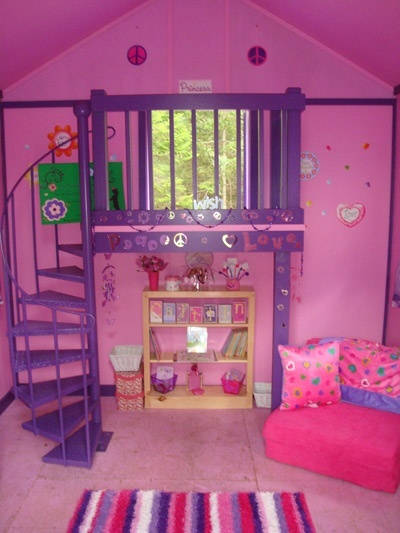 There are so many ways you can make your shed-turned-playhouse into a fun spot for your kids to play. They will have loads of fun, good memories, and best of all, you get a break. Remember that you should still have room to store some of your stuff. Consider adding a loft or shelf to store some of the stuff that won’t fit in your garage. 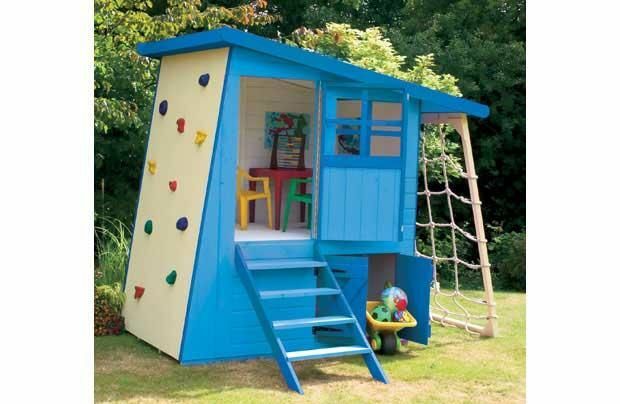 What’s the Best Shed for a Playhouse? 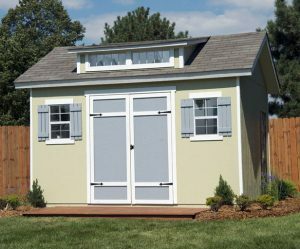 Our gable sheds are a popular choice because they complement any backyard. 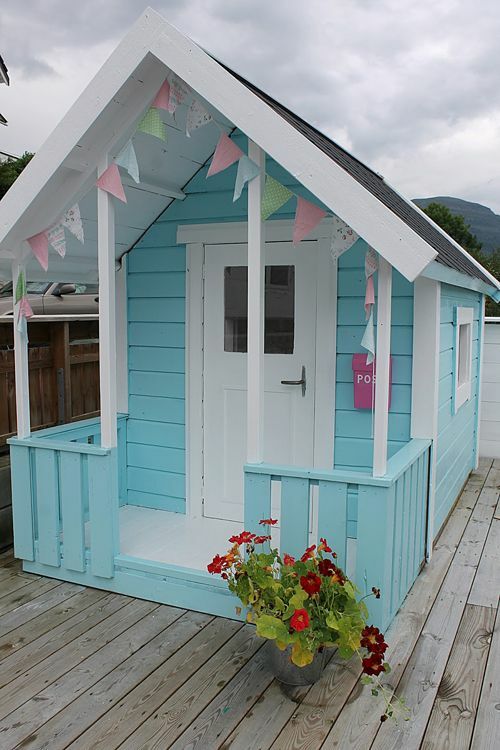 There are various sizes to choose from so you can pick one that suits your home and children’s needs. 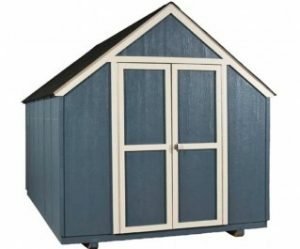 Gambrel sheds have a classic barn roof, giving you more head room. 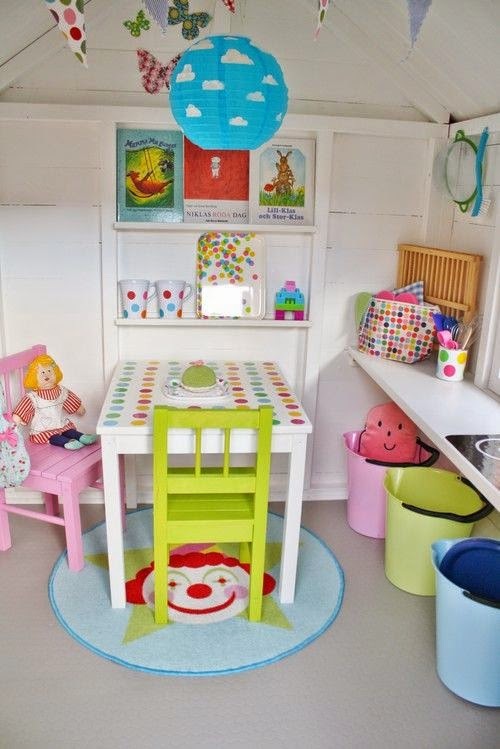 This could be a great option if you want to store children’s toys and games in the shed. 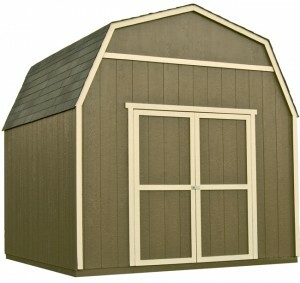 If you want a shed that has curb appeal, get our ranch sheds. These will add great aesthetic to your backyard while still giving kids plenty of room to play. I'm a single, work at home mom, blogger, and writer. This entry was posted in Backyard Landscaping, Decoration, Organization. Bookmark the permalink. I would read this article that I found. Discusses how to paint real flowers.